Glass is known the world over as being not only the safest for packaging food and beverage, but it’s also the harmless for the environment and your health. 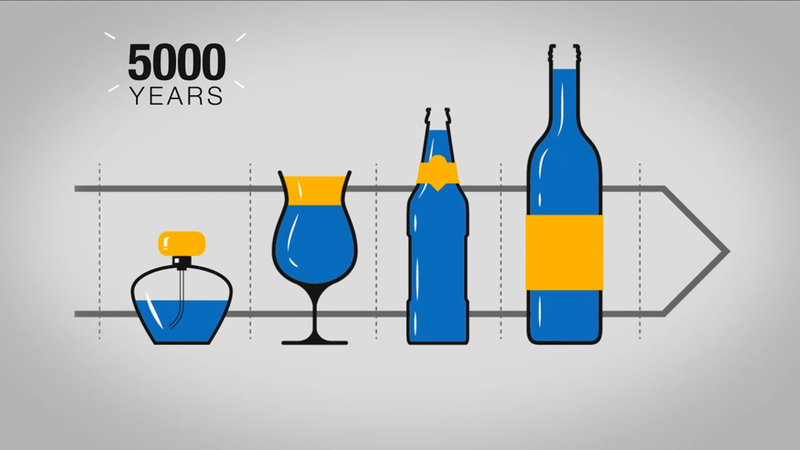 … Watch this video to learn how the glass packaging market is organized and what Tiama brings to respond to this industry’s challenges. We invite you to find out the inside of a glass packaging factory to discover the different steps of the glass articles production. 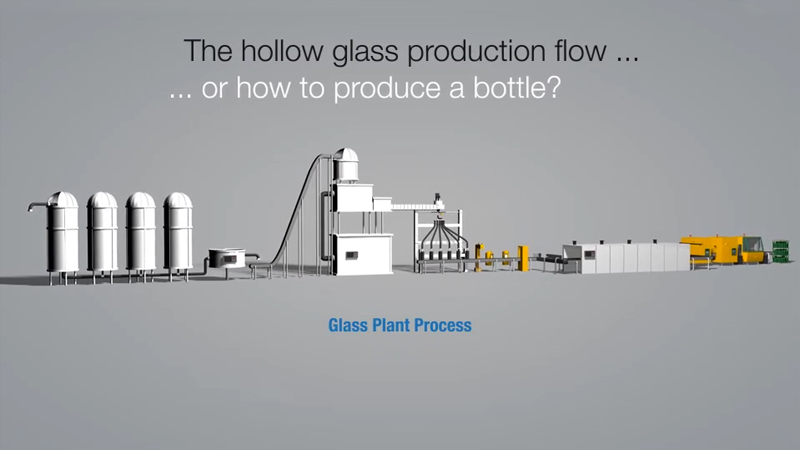 This video will enable you to understand how glass bottles are made. You will also see where our know-how is located from beginning to end of the glass containers’ manufacturing. Enter our interactive and reserved spare-parts area which gives you access to the list of available parts & upgrades for your Tiama machines and solutions. We have been knowing TIAMA inspection machines very well for many years. We have a serious experience and we never have doubts about the performances of TIAMA’s equipment. Therefore, when it came to the building-up of our Greenfield PARKCAM new project in Turkey, we directly decided to acquire TIAMA inspection machines without hesitation. We had started our first furnace with 500 tons/day capacity in 2013 with TIAMA equipment and continued with TIAMA again to organize our second furnace which started in 2015. Today, we reach a total of 1,000 tons/day capacity with 2 furnaces and we are very happy with our TIAMA inspection machines MCAL4, MULTI4 and MX4. Up to now, we have already sold to the local market nearly 3 billion of glass bottles and we never received any customer complaint about production quality. The first and very important reason to get to this zero customer complaints for critical defects is the existence of TIAMA equipment. Our Plant JSC “Consumers-Sklo-Zorya” has been employing TIAMA Glass inspection Machines for years. The whole range of the equipment, starting from the pioneer version and up to the latest models is represented at our plant. As for the latest generations of inspection machines, they are all equipped with user-friendly interfaces along with reliable and differentiated types of inspections. We also cannot mention the high level of Service and After-sales maintenance. TIAMA technical specialists are available and ready to help 24 hours 7 days a week through their HOTLINE package. Every technician in TIAMA is a high-skilled professional, having a wealth of experience, deep knowledge of the equipment. In each case they can find the reason of one or another problem and the best solution to solve it. Being a Head of the Inspection Section of the Plant, I can say that the whole glasscontrol equipment, manufactured by MSC-SGCC, established as reliable and advantageous devices for control of various types of defects. There is a number of models used at our Plant: M1, MCAL3, MULTI3, MCAL4, MULTI4, NCT, NCT+. NCT+, used with M1, proved to be a very efficient system, showing high speed and superior reliability. Inspection machines MCAL4 and MULTI4 are connected to the Internet, which enables MSC-SGCC technicians to eliminate program bugs distantly, on-line. SAV specialists can easily and quickly set up the inspection machines, they are communicable and friendly. The SAV guys are always ready to consult for any questions arising, being constantly available either on the phone or by e-mail. My name is Kirilov Andrey and I am responsible for inspection equipment. Since 2004 I started to use inspection machines of TIAMA company. In this time we have bought and started next list of machines: M INFO , M PCI, ICAM, ATLAS, MCAL 4, MULTI P.
We are able to control almost all defects with high efficiency using presents inspection equipment. Thanks modern and clever technologies from TIAMA, we decrease the time of job change and increased the quality of detection. In the new version of the machines the user interface is intuitive, easy for using by service staff. There is no any claims or issue with this equipment for all time of using. The technical service provide a first class service in any question. We can get the advices and support by phone in any time. If you have the aspiration to work in a supportive environment where opportunities are accessible and skills are pushed, you might be exactly what we are looking for. To find out, check this page!